What Happened at the Weekend? This weekend saw more focus on the domestic energy market, with emphasis on how much switching energy can actually save you. Don't forget that the same applies to the business market as well - if you don't check regularly then you won't know how much you could be saving. There was also a fair few articles about what's going on across the pond with regards to nuclear energy and Iran. Business energy users should consider using longer fixed-term deals following new figures released by Energy Advice Line showing that the relative cost of short and long-term contracts continues to narrow. Firms that lock in the price they pay for energy for two or three-years, or more, are now paying a smaller premium than they did at the same time last year. According to Julian Morgan, managing director of the price comparison, switching and advice service for energy consumers, longer-term contracts continue to be a more viable option than ever for firms as protection against price fluctuations in a volatile market. It's hard to look past this morning's big news for domestic energy consumers - potentially spending £200 more than they need to due to a lack of switching - but there are other stories floating around from the weekend. A lot of stories about renewable and green energy projects, as well as how the falling rate of inflation will affect the energy and oil prices in the UK. 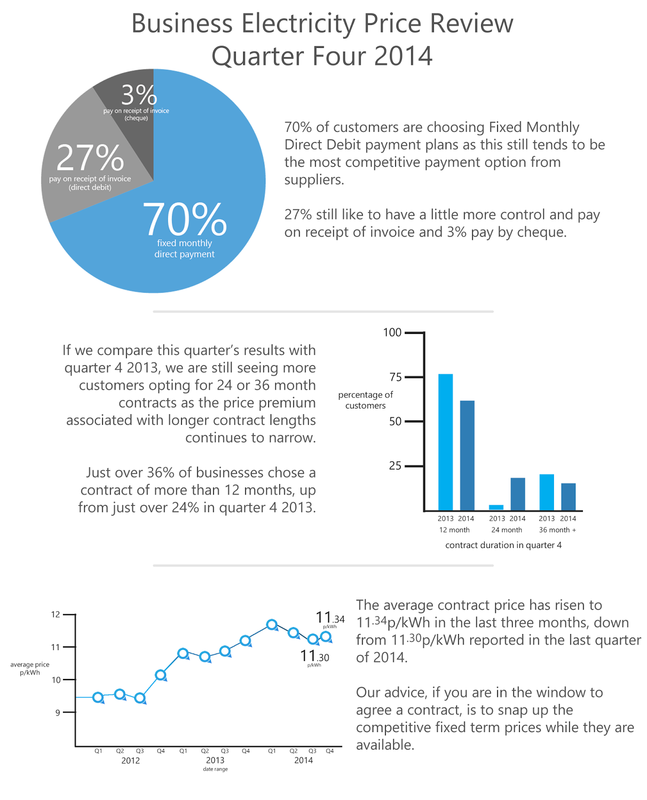 Have You Seen What The Independents Can Save You? The UK’s most highly rated price comparison and switching service for energy users has urged consumers in search of the best deals to seek out smaller independent suppliers. Julian Morgan, managing director of the service ranked number one on consumer feedback site Trustpilot, said more independent suppliers were entering the energy market than ever and challenging the monopoly of the Big Six. “The clear message for consumers in 2015 is that there are highly competitive alternatives to the major players now and it makes sound financial sense to take a look at what the independents are offering,” Mr Morgan said. “Consumers have made it clear that they have lost faith in the Big Six after years of high prices and lack of competition in the market. I am pleased to report that that situation has started to change. We'd like to take a second to welcome two new suppliers to the Energy Advice Line panel; Crown Energy and Extra Energy. 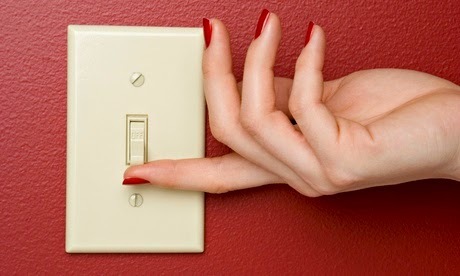 Tens of thousands of angry consumers who have lodged complaints with the Energy Ombudsman should vote with their feet and switch suppliers, according to the Energy Advice Line. Julian Morgan, managing director of the price comparison, switching and advice service, said even though vast numbers of consumers were angry at their treatment by suppliers, too few of them took their business elsewhere. 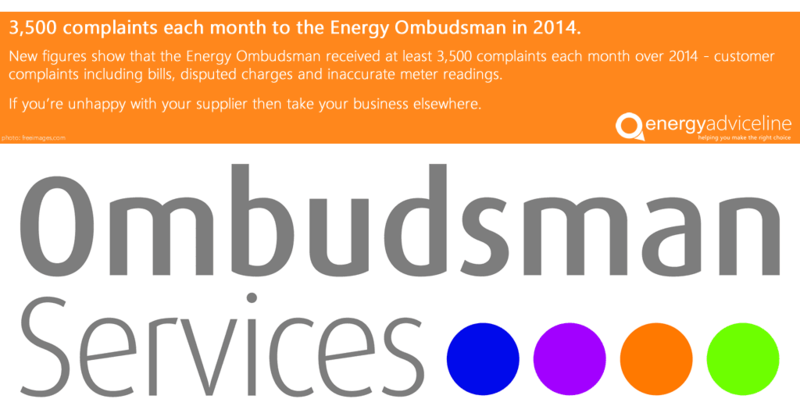 According to new figures, the Energy Ombudsman received at least 3,500 complaints each month in 2014 from consumers with the main gripes involving bills, disputed charges and inaccurate meter readings. This weekend the news focused largely around the oil prices, and the beginning of work on EU energy integration. This will help to unify the different energy sectors to better insulate countries from dependence on Russia for natural gas. 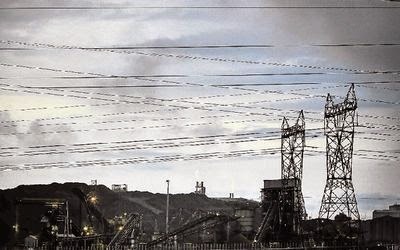 TV geologist warns that energy crisis is on the way - so what are we going to do about it? 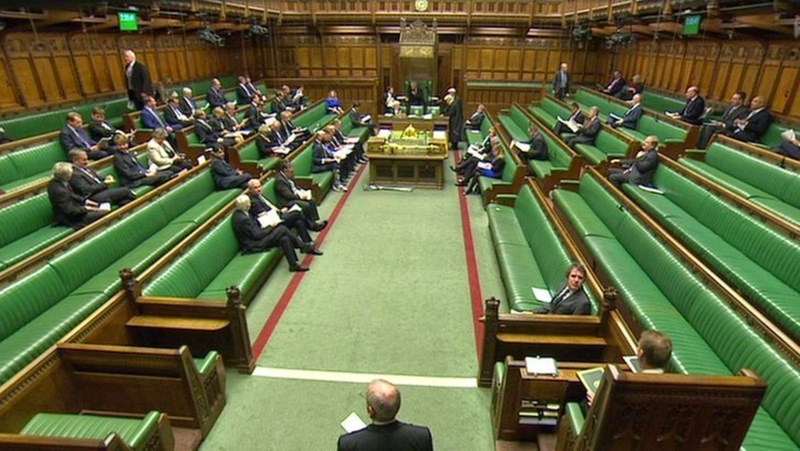 Debate took place in the House of Commons this morning regarding the energy efficiency schemes and what is being done to further tackle the issue of climate change. Focusing heavily on the soon to be released Fuel Poverty Strategy and the recent issues regarding price cuts from the Big Six and independent energy suppliers, and what Ofgem and the CMA will be doing to ensure that these savings will be passed on to the domestic consumers. Energy Secretary Ed Davey states that network costs count for a fifth of the domestic energy bills and historic analysis shows that these costs have been coming down since privatisation, but Ofgem do need to continue their pressure to bare down on this and ensure that the savings are then reflected in the consumer's bill. 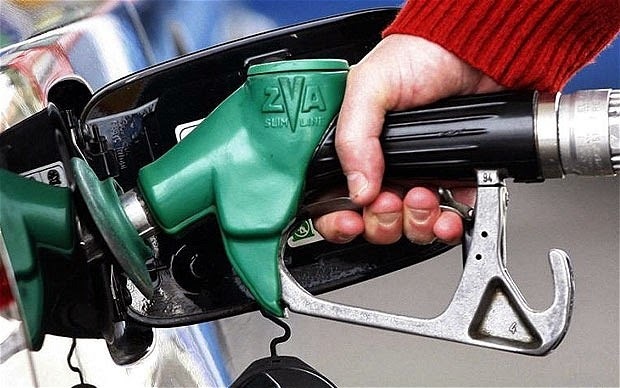 Currently the coalition has brought policy costs down by £50 and the UK is currently enjoying the lowest domestic gas cost in the EU - however are the price freezes helping the consumer, are they competent when instead further competition could help drive prices down further, a question posed by MP Steve Baker. Davey agrees with Which? that we should be working harder towards market competitiveness, reforming the Big Six to reduce their market share and increase the independent suppliers as this will help to further increase the competition of tariffs and deals on offer. Profit margins for the Big Six are currently soaring due to the reduced wholesale prices so more needs to be done to pass these savings on to the consumers. When posed the question of how much renewable energy will we see by 2015, compared to 2010, it is stated that the current government is the 'most green' it has ever been with renewable electricity generation up to 14% from 6.8% in 2010. Offshore wind is going to continue to insure the strong renewable energy mix, enabling these renewables to deliver their pledge.Wind power is essential but is obviously not 100% reliable which is why there is a mix in the renewable energy investments, including investments in the battery industry - developments to make sure that wind is more reliable when the subsidies come down. The 'Solar Strategy' has so far helped businesses reduce their energy costs, with help from the Feed in Tariff for industrial businesses. It is reinforced that SMEs are essential to the growth of the economy so the government will continue to support them through the FiT to help with costs of solar capital and reduce the amount of tax payer money that goes towards this also. Predictions state that solar power will be subsidy free by the end of the decade, which is something to celebrate and the tax payer will also appreciate this. Solar remains as part of the renewable energy mix when looking at commercial energy strategy plans. New legislation to be introduced will require landlords to ensure that their properties meet new energy efficiency standards by April 1st 2018, it is predicted that this will help around 1 million tenants when it comes to fuel poverty. Their properties must meet a minimal EPC rating of 'E' to pass this measure before they can be let. Reforms are made to the Green Deal and the Home Improvement fund to help a further 1 million homes become energy efficient in order to help tackle the issue of fuel poverty. So far, 445,000 Green Deal assessments have been made and evidence shows that 70% of these go on to install energy efficient measures, or plan to install these measures using the available options of the Green Deal Finance and their own savings/other financial options. More will also be done to help the insulation of park homes. Measures are being taken to ensure that families who are currently suffering from fuel poverty will be in EPC rated 'C' housing by 2030. MP Kerry McCarthy questions the contributions of livestock towards global emissions and how people are being advised to further reduce their carbon emissions. The '2015 Global Calculator' has been recently released to show people how their every day decisions are making an impact on climate change, and lets them see what choices they need to make in the future to decrease their own personal impact. While we await the Fuel Poverty Statement at the end of the month this certainly gives us a lot to focus on, especially given the forthcoming elections. It is, as it always is, important to ensure that you are paying the most competitive prices with your energy spend as this helps towards cutting your overall costs. 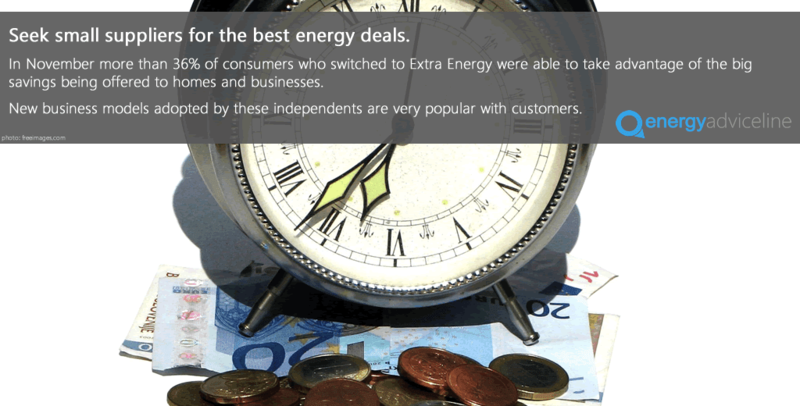 Consumers can quickly and simply search the market for the best available energy deals from an extensive panel of small and large energy suppliers with the Energy Advice Line. The service also offers a free advice service for business energy customers throughout the to of their energy contracts. Labels: climate change, cma, domestic energy, energy efficiency, house of commons, ofgem, price freeze, renewable energy, which? Given the last fortnight's price slashes, articles this weekend were looking at how you can act further to reduce your energy spend, and get more for your money. There was also quite a focus on Ofgem and the work that they still need to do in order to better regulate the energy market. Given that the General Election is now less than 100 days away there has been little discussion of the major party's energy policies - but it's only a matter of time before that rises to the forefront once again. Renewable Energy Jobs Soar, But What Does It Mean for Investors? The Energy Advice Line has welcomed initiatives that Ofgem claims will slash more than £2 billion from customers’ bills. But Julian Morgan, managing director of the price comparison, switching and advice service, said the price controls and other measures came after years of inaction by the regulator. 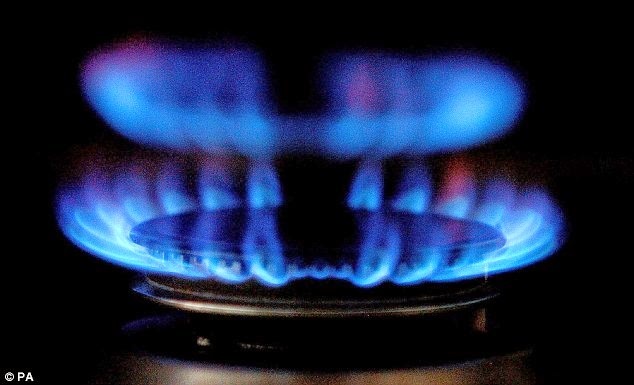 Many households and businesses would still struggle to pay their bills this winter and lack of competition in the UK energy market remained the main cause of high prices and poor service, he said. Ofgem has announced a tough range of price control measures for power distributors that it claims will slash bills by the equivalent of £11 per household. The measures limit the amount distributors can charge for the job they do. 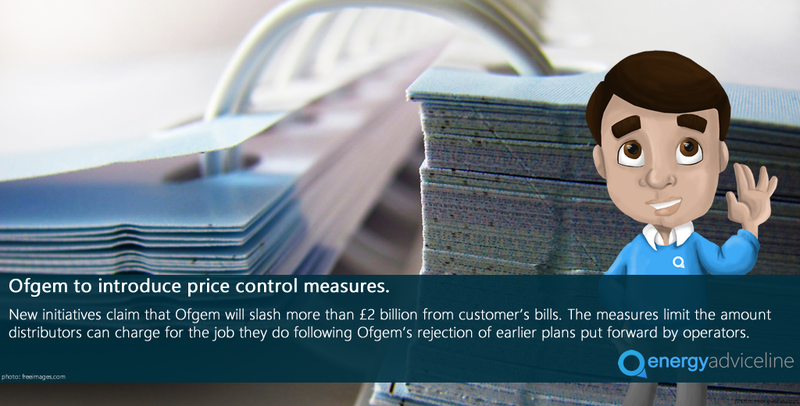 The controls follow Ofgem’s rejection of earlier plans put forward by operators on the grounds they failed to deliver “good enough value” to customers”.